Want an internship that makes a difference? 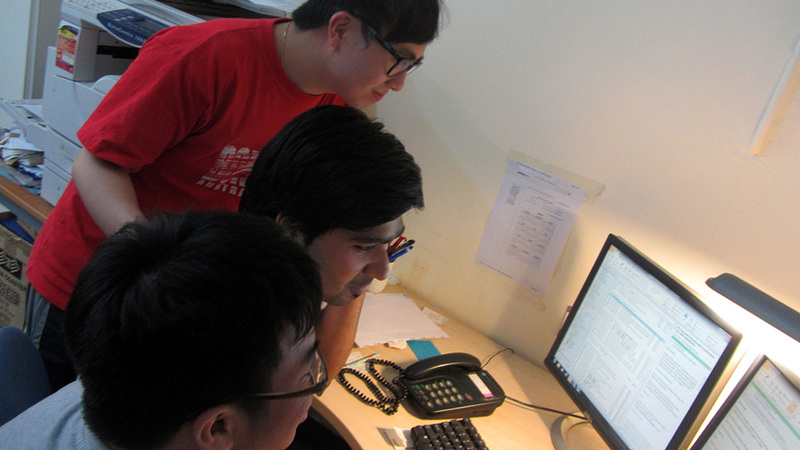 Apply for Crossroads’ Summer Internship Programme at in Hong Kong. The work you do in a summer with Crossroads has an impact on communities in need around the world, and here in Hong Kong. Crossroads’ interns are change-makers! Who can do an internship at Crossroads? : If you’re a college or university student ready to use your skills, passions and who you are to help people in need, Crossroads welcomes your application (click here for the application form). Crossroads has worked with interns with a range of diverse abilities. What kind of work will you be doing? : Crossroads’ interns work alongside people from more than 20 nations, sharpening your skills through real-world work experience in an English-speaking environment. Roles available include: goods preparation for distribution, shipping, computing, Crossroads’ fair trade marketplace and café, communications, design, translation, accounting, administration, research, catering, hospitality and running experiential simulation programmes. What will you receive at the end? : Crossroads award students a certificate and a reference letter from Crossroads on completion of the internship programme, given at a celebratory party at the end of the internships. For many, though, the most valuable take-away can be new friendships, better workplace and language skills and a deeper understanding of how to help a world in need. How long is the internship? : Students commit to a six-week, full-time service period. Crossroads’ work week is Tuesday through Saturday, from 10:00 am to 5:00 pm. Where will you work? : Internships take place at the Crossroads Village, 2 Castle Peak Road, Tuen Mun N.T. Click here for a map. How do you apply? : Ready to take the plunge? The first step is to complete an internship application form, found here. You’ll then be contacted for a brief interview and, in the following weeks, will be notified about whether you’ve been accepted, and where you might be placed. 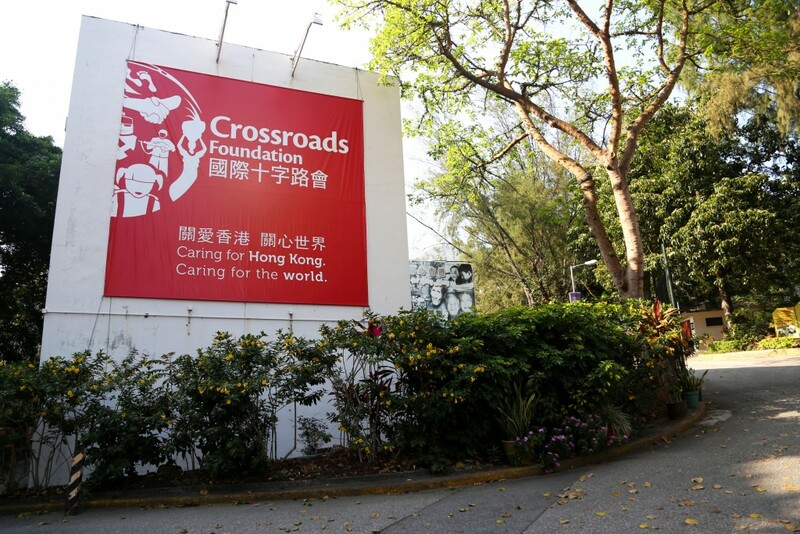 About Crossroads Foundation: Crossroads Foundation is a Hong Kong-based, non-profit organisation serving global need. Crossroads Foundation believes that, in a broken world that sees too much suffering, we should do all we can to link those who are in need with those who can provide help. So Crossroads Foundation provides an intersection, literally a crossroads, to bring both together. Crossroads Foundation recruits students from universities and colleges to participate in its annual internship programme. Students are given the opportunity to be assistant managers in most of our many departments and to help in the running of them. They work with people from around the world while gaining vital, real-world English-environment, work experience. Roles available include communications, design, translation, accounting, administration, research, goods preparation for distribution, shipping, computing, catering, hospitality, simulation experiential programmes, our fair trade marketplace and café. Students are awarded a certificate and a reference letter from Crossroads on completion of the internship programme. Date: Students commit to a six-week, full-time service period. Our work week is Tuesday through Saturday, from 10:00am to 5:00pm. Time: Crossroads working hours for interns are 10am to 5pm Tuesday to Saturday. They are closed on public holidays unless advised otherwise. 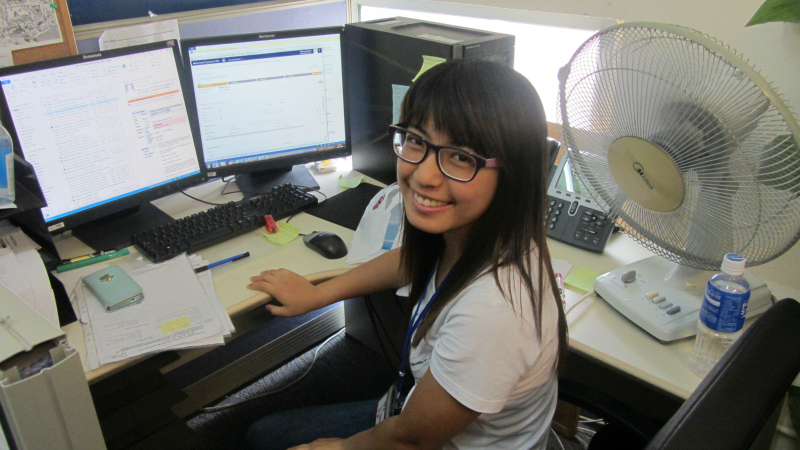 Place: Internships take place at the Crossroads Village, 2 Castle Peak Road, Tuen Mun. How: Interested students should complete an internship application form. They will then undertake a brief interview and, in the following weeks, be notified as to whether they have been accepted and in which department they have been placed. After completing 6 full time weeks of internship, each student will receive a certificate and a letter of reference from Crossroads. These are awarded at an internship celebration at the end of the period or upon finishing the programme. Note: Students who are not in Hong Kong at the time of the interviews may complete their interviews online. Email us for more details at volunteer@crossroads.org.hk. Global Distribution: This distributes Hong Kong’s quality excess goods as needed, internationally and locally. It provides a crossroads between need and supply. Global X-perience: This offers simulated x-periences of global need. It provides a crossroads between the lifestyles of the rich and poor. Global Handicrafts: This sells fair trade goods from people in poverty. It is a crossroads between those needing a fair income and those with buying power. Global Hand: This provides a ‘matching’ website for public-private partnerships. It is a crossroads between for-profit and non-profit organisations who wish to address global need. It is almost beyond belief that a second, massive earthquake has struck Nepal. Crossroads is responding to people affected by both quakes. If you would like to help, here is how you can. Crossroads is working with a range of partners to get help to people in both urban and remote areas. Their first consignment has landed in Kathmandu and a second is on its way. They are looking at sending additional loads to Nepal. As the recovery process moves forward, Crossroads is in regular touch with those who know the situation on the ground and can guide them as to what is needed. For areas still unreached, they are being asked to send emergency items such as tents, solar powered lights (since batteries are in short supply) and Recovery Kits. At the same time, we are now also being asked for Hygiene Kits and Kitchen Kits. Those impacted also urgently need funds as some goods are needed immediately. Many can be purchased in the location as long as sufficient funds are provided. If you would like to help, here’s how. To donate money towards Crossroads’ Nepal disaster relief efforts, please click here and specify ‘Nepal disaster relief’ in the ‘What For?’ section. Relief workers are asking Crossroads to rush, at this time, tents to provide immediate shelter and Recovery Kits to help cope with the devastation in the area. All items must be new, please, and placed in a red/white/blue striped bag. Tents: People in remote villages are still in urgent need of shelter, particularly, we are advised, with the monsoon season coming. If you could give 1 or more tents, that will provide immediate help. Solar Powered Lights: These are being requested daily to help combat the challenges in areas without power and without access to batteries. Please deliver your donations to, map and address here. About Crossroads: Crossroads’ goal is to connect people in a broken world. As our name suggests, we try to be a crossroads: bringing together those in need and those who can help. We do so in four ways. GLOBAL DISTRIBUTION: Where need meets resource We are donated excellent quality goods by business and private donors. 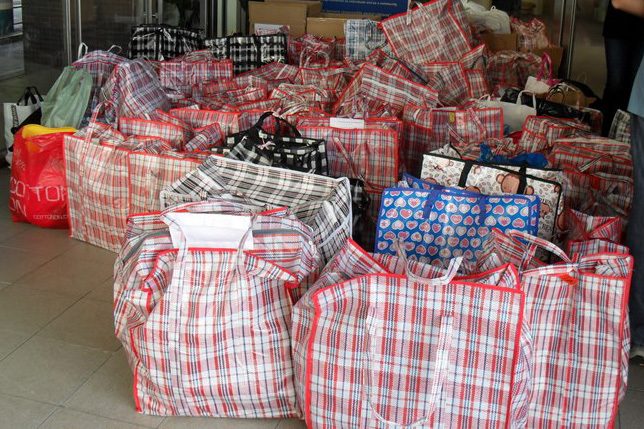 We distribute these to people in need, in Hong Kong and around the world. GLOBAL HAND: Partnering for a better world Global Hand is a match-making service which links for-profit and non-profit organisations who want to partner to help meet global need. GLOBAL X-PERIENCE: Stepping into another’s shoes We offer simulation x-periences in which participants step, briefly, ‘into the shoes’ of people facing global challenges: war, poverty, HIV vulnerability, blindness, environmental challenges, hunger, etc. GLOBAL HANDICRAFTS: Fair trade for a fairer world Aid helps people today. An income helps them tomorrow. Global Handicrafts Marketplace sells goods from people in need within Hong Kong, and around the world, on a fair trade basis. Volunteering at Crossroads is one way you can line up the skills you have, with your hopes to make a difference to a broken world. We need people with almost any skills to do jobs like packing goods, driving trucks, cooking meals, administration and computer work, gardening and landscaping, art and design, and much more. Would you like to know more about volunteer opportunities in Hong Kong as they come up? Enter your email address below and click to subscribe to this blog and receive notifications of new posts by email. Just remember, the aim of this blog is only to bring opportunities to your attention. If you want to volunteer, you need to reach out to the organisations profiled.